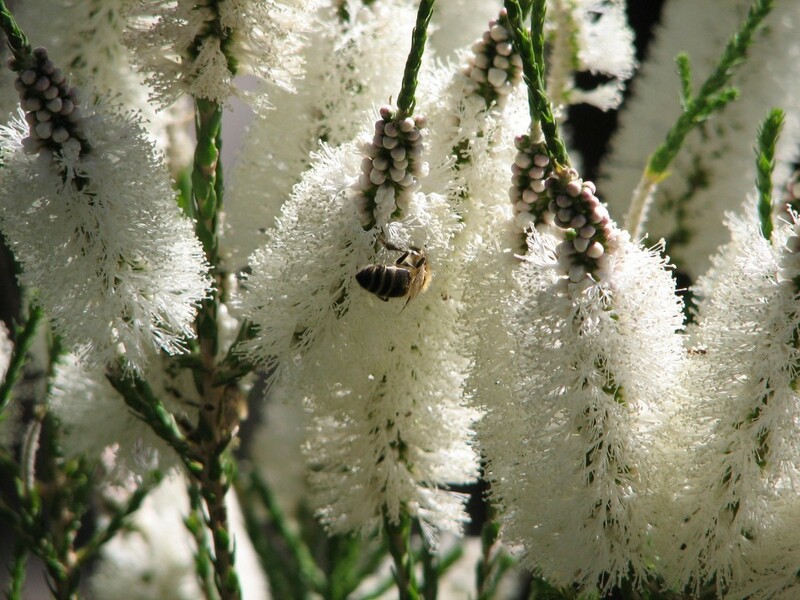 There was a comment on the previous mention of Melaleuca nesophila which sent me to the books again and Australian Plant Society informatiom. This very hardy plant reads almost like the perfect plant to grow. Apart from not liking severe frost, it will grow practically anywhere. The information says that it will tolerate salt spray, acid to very alkaline soil and lime. Many Melaleucas will grow in quite damp soils and this is one of them, as well as growing in very dry conditions. It also takes hard cutting and trimming which makes it ideal for wind breaks and hedges. Apart from that it is also a very pretty plant. Melaleuca nesophila is a large shrub from Western Australia which I have seen trimmed to be tree-like. The lower branches can be removed to leave a trunk. The plant can grow to 4 metres tall by 4 metres wide. 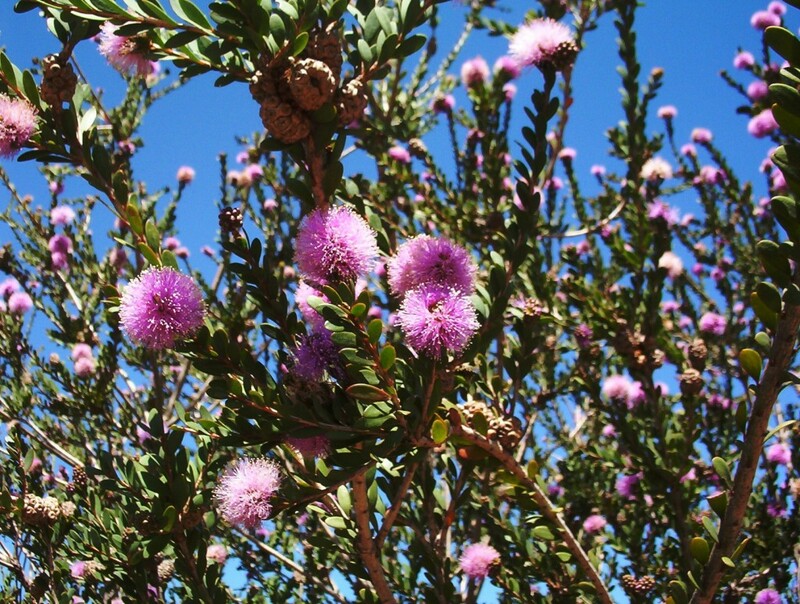 Mauve flowers are in large clusters and appear in late spring through the summer. This plant is spectacular when in flower and a very attractive plant all year round. It is very hardy in most soils and aspects. It is frost hardy to about -7C. 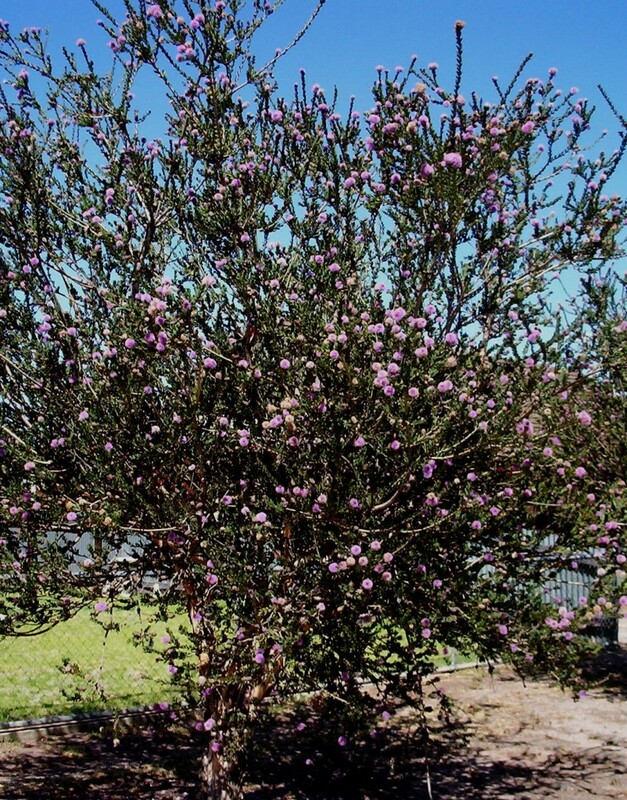 There must have been a severe frost in my daughter’s neighbourhood last winter as all the Melaleuca nesophila bushes in the neighbours’ yards were burnt. It is a fast growing screen or feature plant. I arrived home today from a few weeks enforced convalescence at daughter’s home in the mid north of the state. On many of my gentle walks with her dog I was able to observe the frost damaged plants in the district. I thought one could not kill old fashioned marguerite daisies, or geraniums, but both have been severely burnt in daughter’s yard. Both plants have sap in the stems we discovered when tidying some plants so we are hopeful that there will be regrowth. Left the geranium untouched until the frosts have finished as some new growth appeared at the base of the plant and the burnt bits appear to be giving some protection. I hate to think what the situation is further north where the temperatures dropped even lower. You are currently browsing the archives for the Melaleuca category.